Meets high security standards by deploying anti-virus protection for Personal Data Information Systems (PDIS) up to the class I level of security, for Geographic Information System (GIS) up to the class I level of security, for data processing systems containing state secrets, and for Critical Information Infrastructure organisations up to the highest category. Mail traffic is the main transport for viruses and spam. All of a company’s business processes depend on its mail system working flawlessly and being free of viruses and spam. If a company's network gets infected, it is email that can become a source of viruses and a way for viruses to invade all the network nodes; this is because the malicious programs on an infected machine have access to a user’s address book, which may contain both your colleagues' addresses and your customers' addresses. 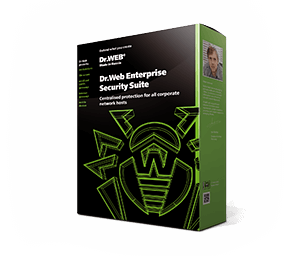 Remove previously unknown malicious programs from mailboxes. Only by installing an anti-virus on its mail server can a company prevent situations when the server becomes a source of infection. 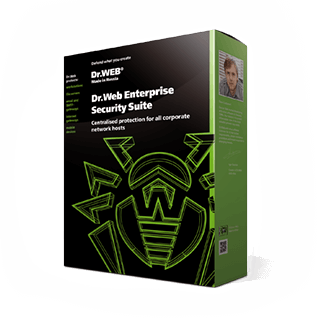 Dr.Web Mail Security Suite significantly reduces an enterprise’s expenses and makes its business processes more reliable. How viruses and spam reduce mail server performance or how they can crash a mail server? How Trojans that have compromised email can hack a local network and consequently make it part of a botnet?